Quite simply, our company requires the design of 12 different sized banners (although the same design) for Google Adwords and other online advertising applications. Our company is a business-to-business broadband and phone line supplier to small and medium sized businesses. 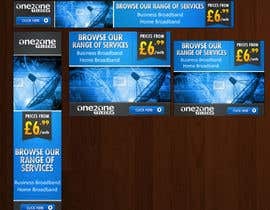 The design should be in keeping with our website theme and should be aimed at our broadband services with "prices from £6.99 per month". There may also be further and better opportunities for the successful design.